Rarely available concrete low-rise apartment with great Location. 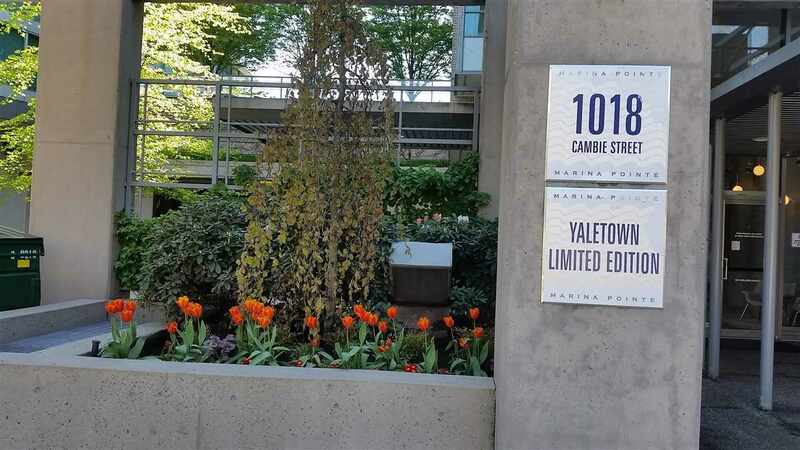 Facing towards the quiet courtyard side with garden view, this 1 bedroom and den unit is within steps to Yaletown Shops and restaurants, seawalls, Canada Line and downtown core. 1 assigned secure parking spot is included. Access to Club H2O with pool, sauna, fitness centre, lounge, squash court and concierge service. It was rented for $1762/month.1 parking stall P2- #362 with record being used by this suite since 2009 and well documented on Home Assignment details of Concord new homeowner binder is not disclosed in Form B of strata Corporation. Sold as is where is. Open house Sunday May 7 2017 2-4 pm.